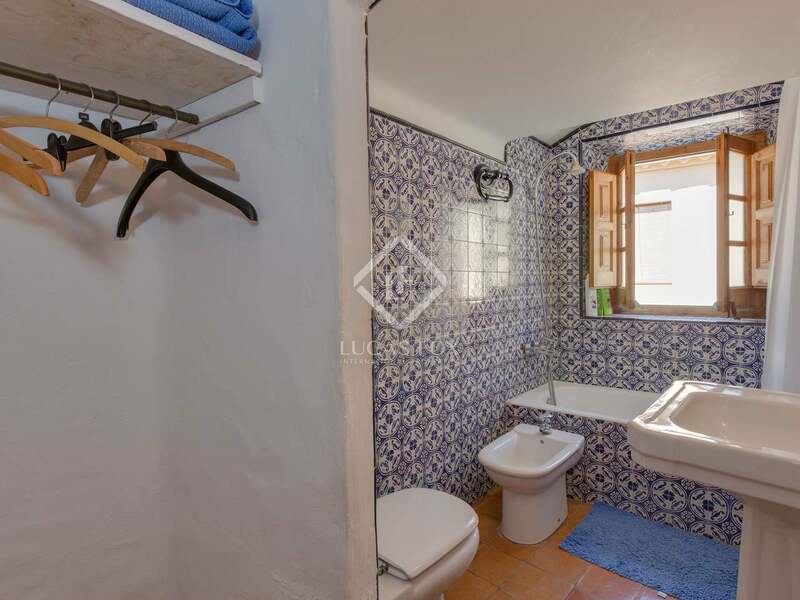 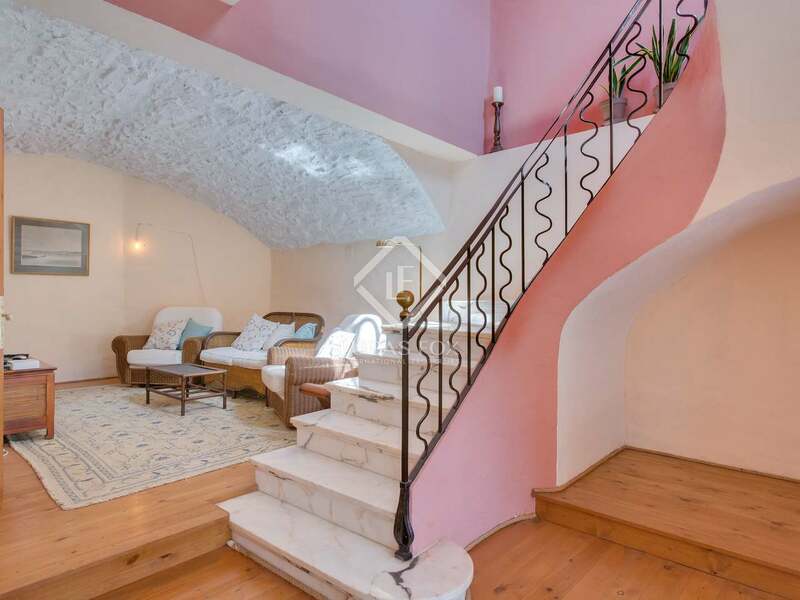 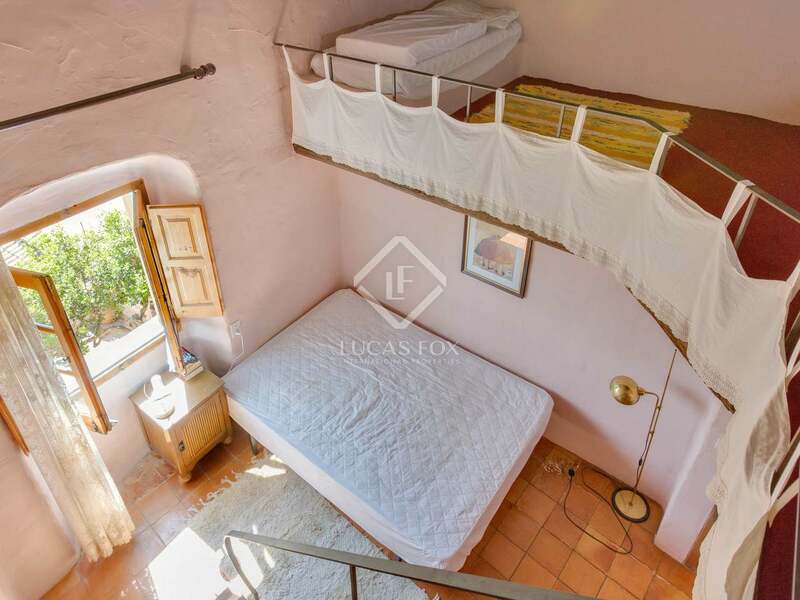 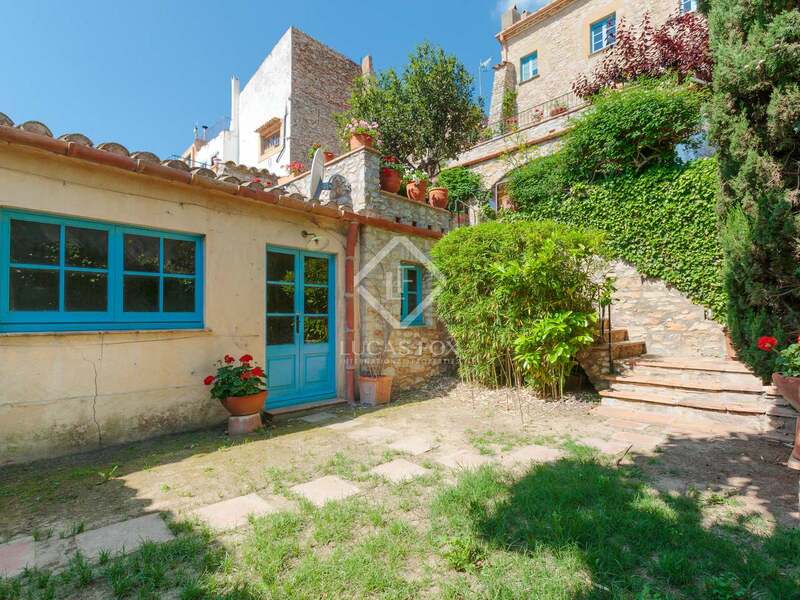 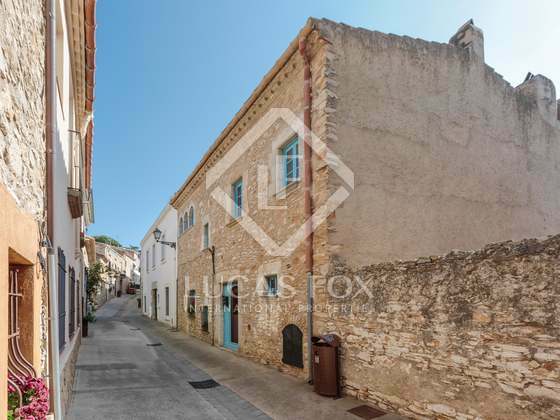 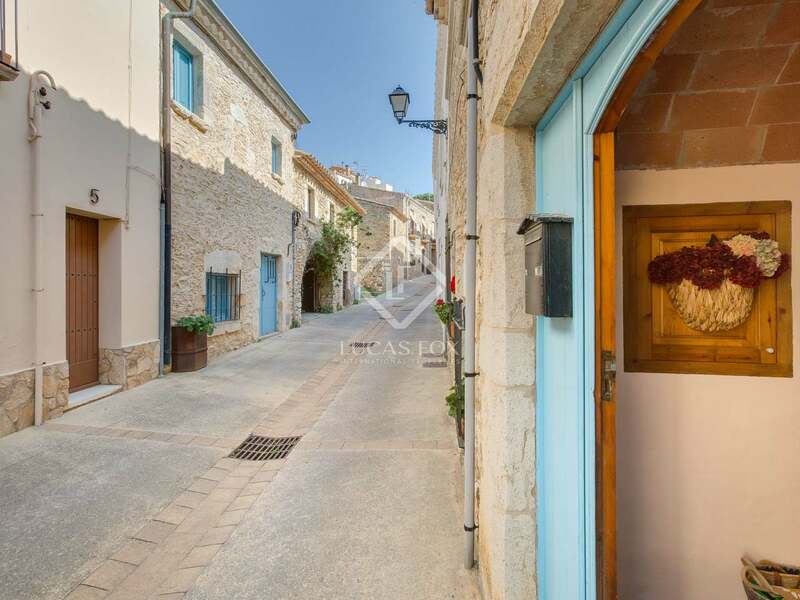 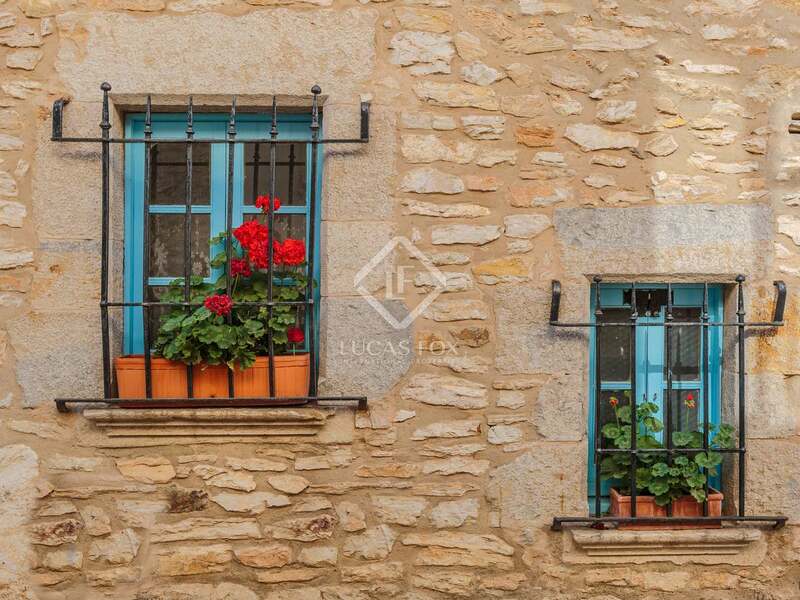 This beautiful 4-bedroom townhouse is located on a quiet street just a 2-minute walk from the centre of the popular medieval town of Begur on the Costa Brava and only 2.5km from the nearest beach. 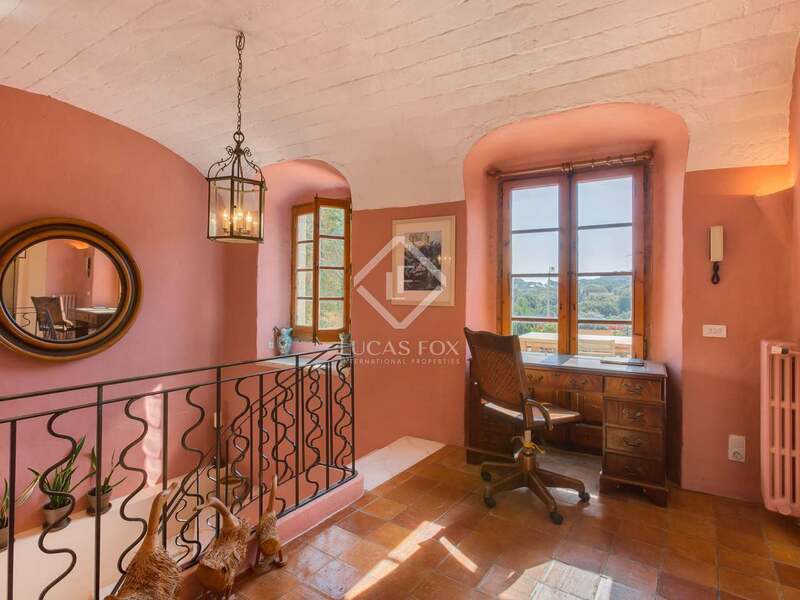 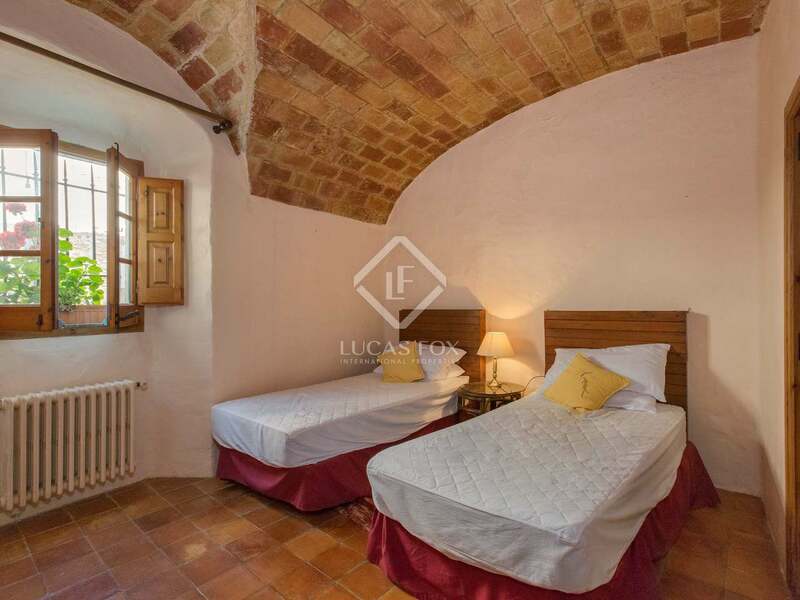 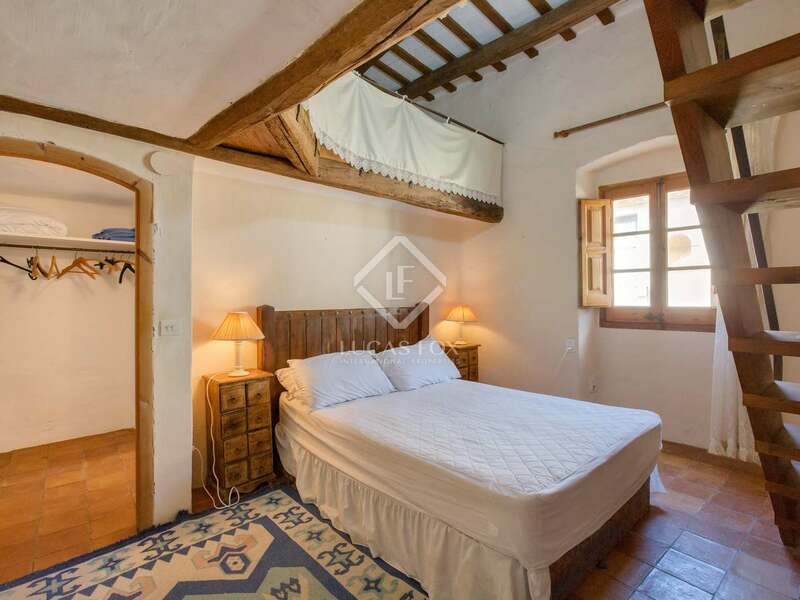 The property - which has a lovely artistic feel - dates from the 17th Century and was fully restored in 1998, carefully preserving all the charm and authenticity of the original architecture. 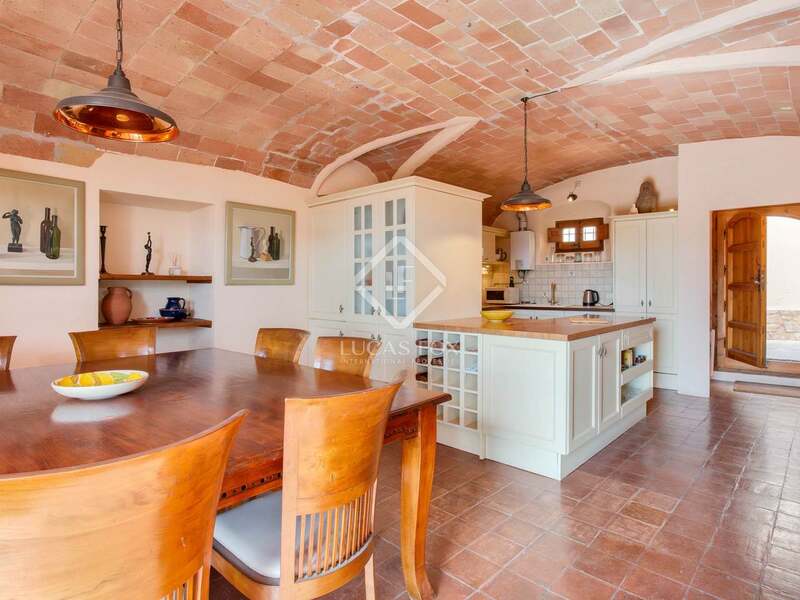 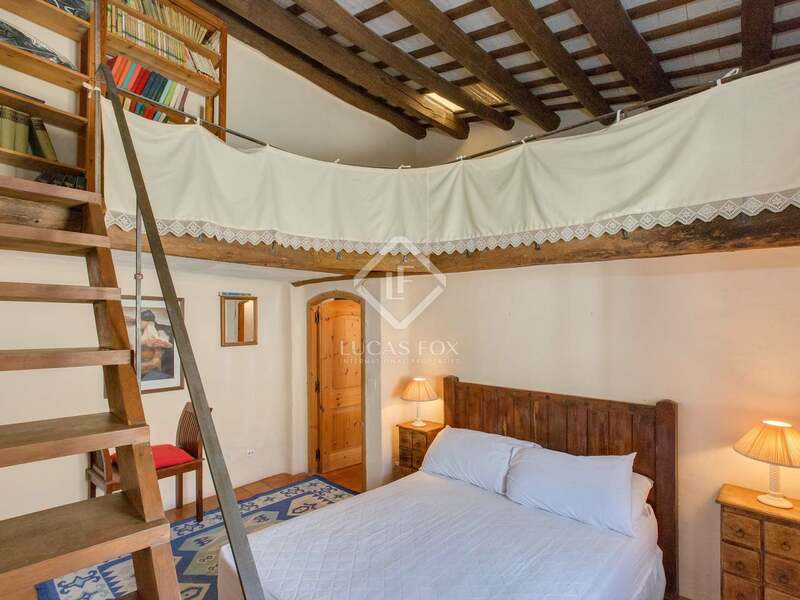 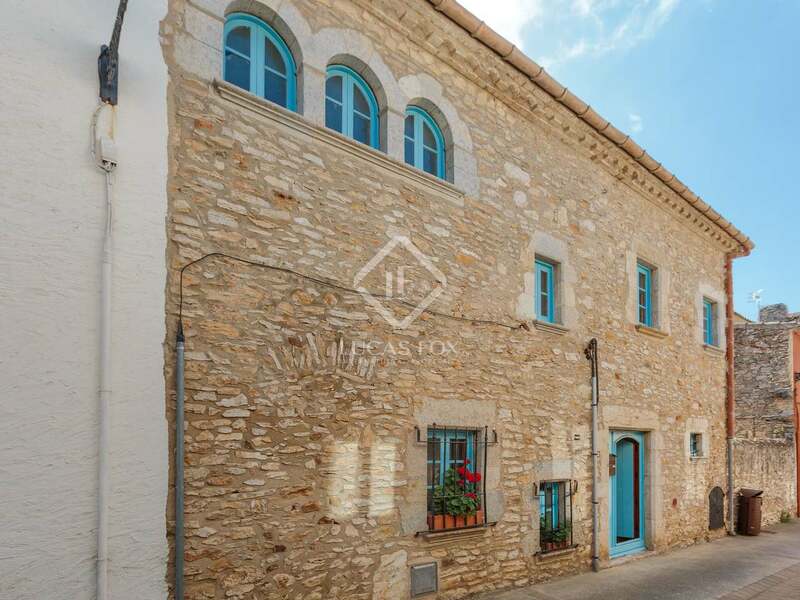 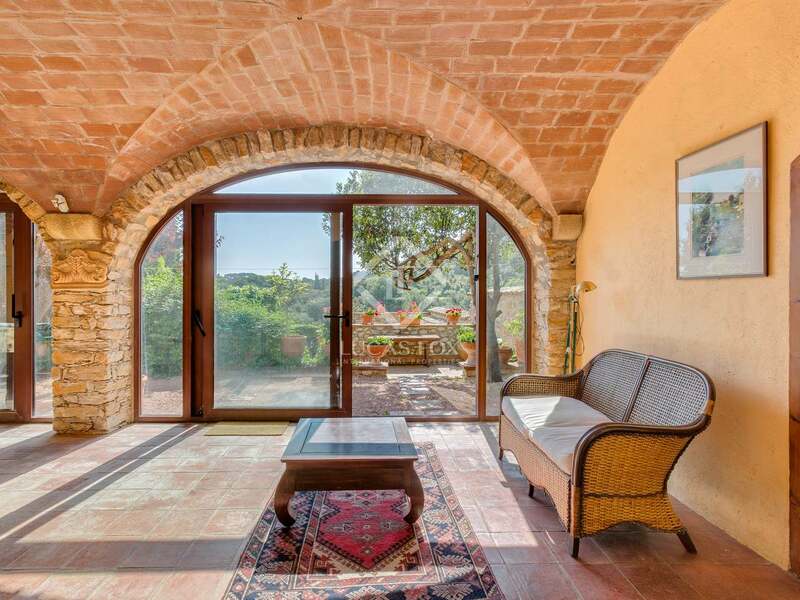 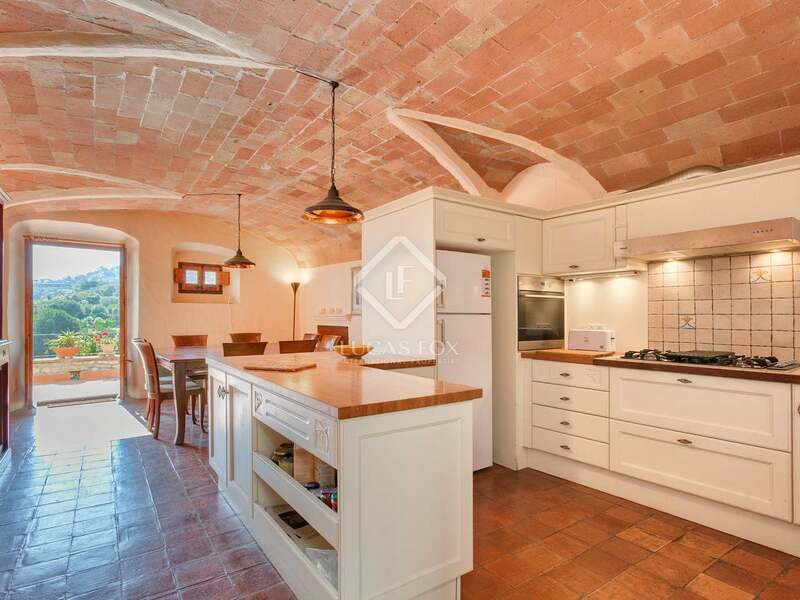 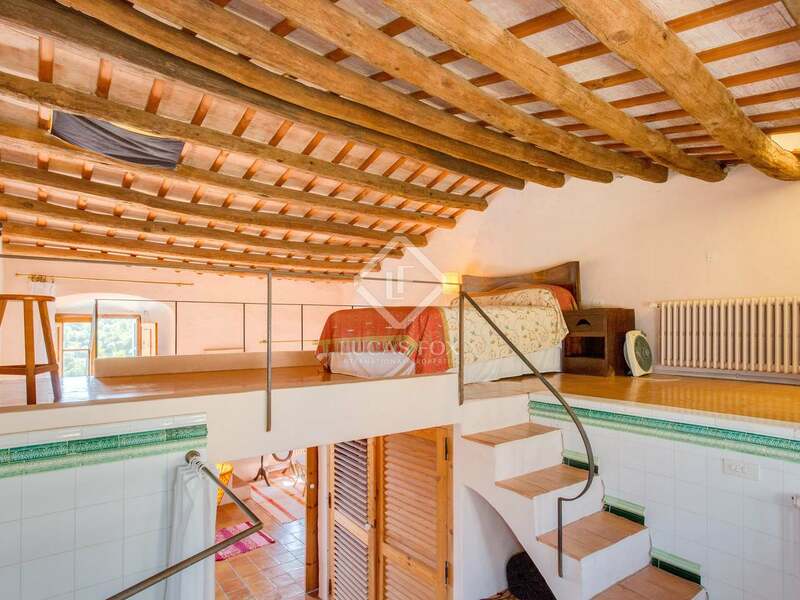 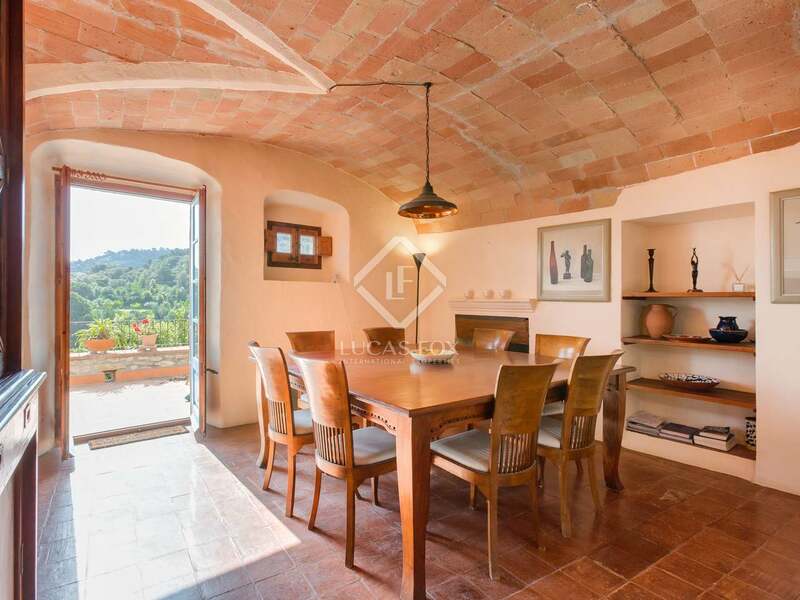 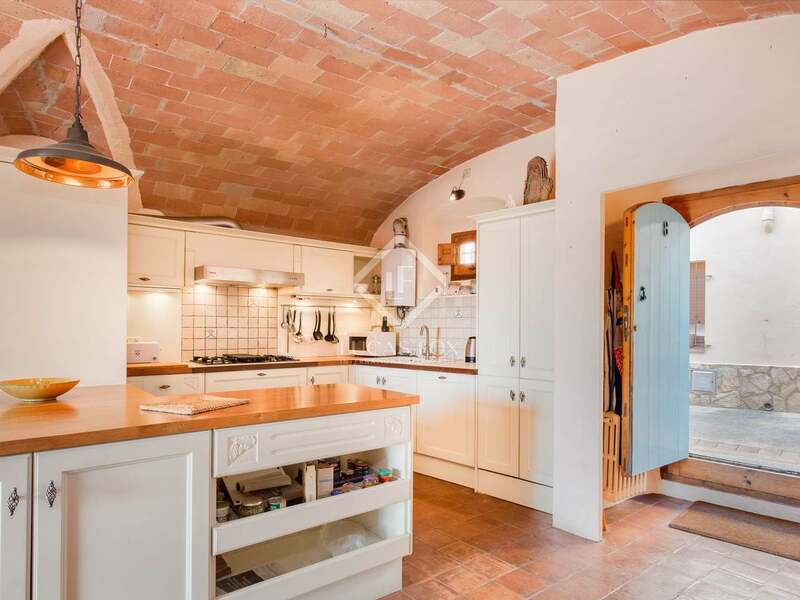 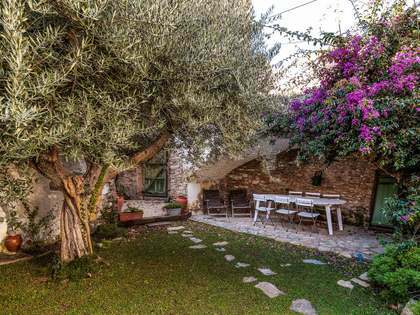 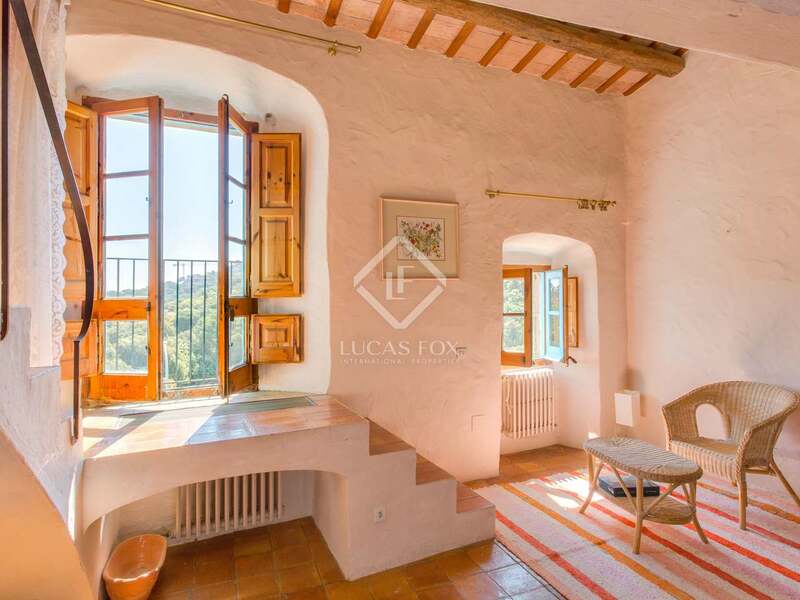 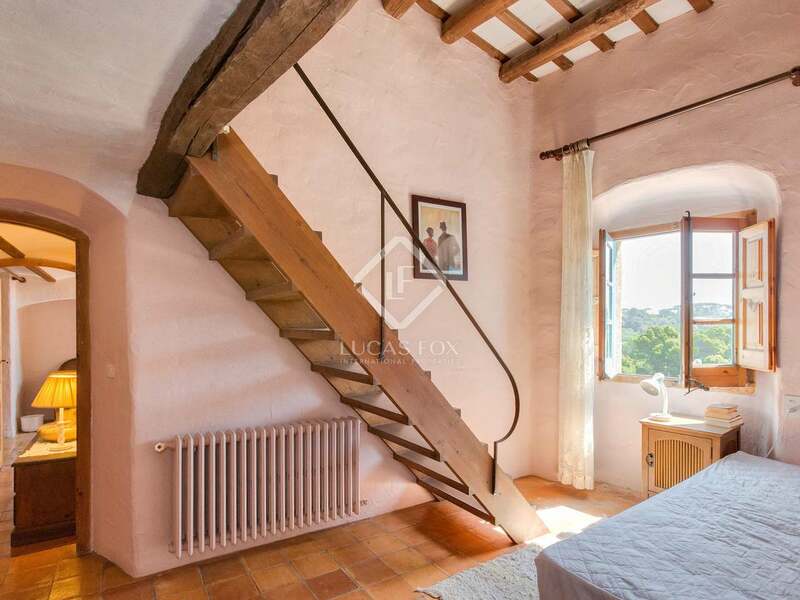 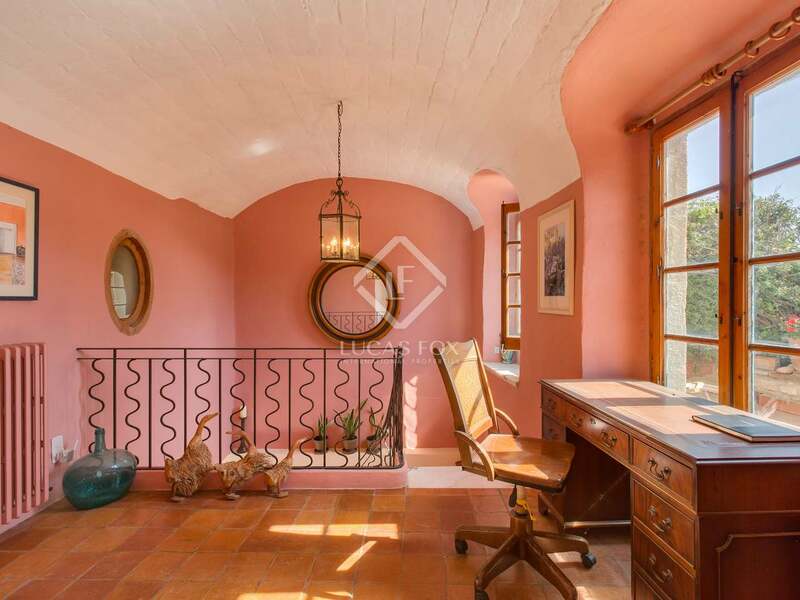 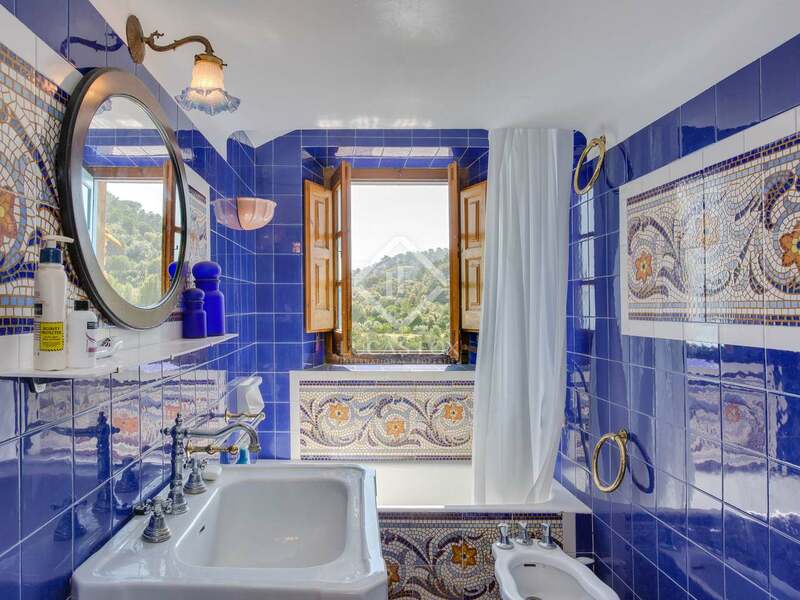 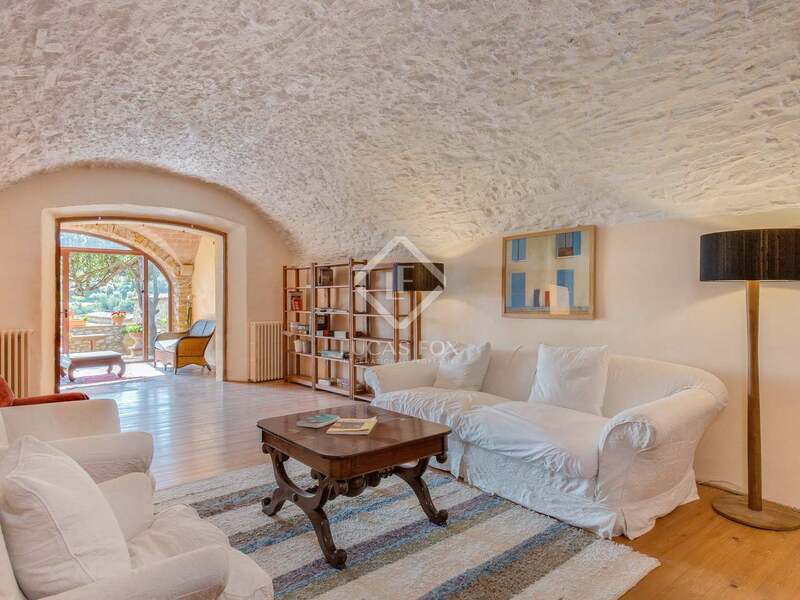 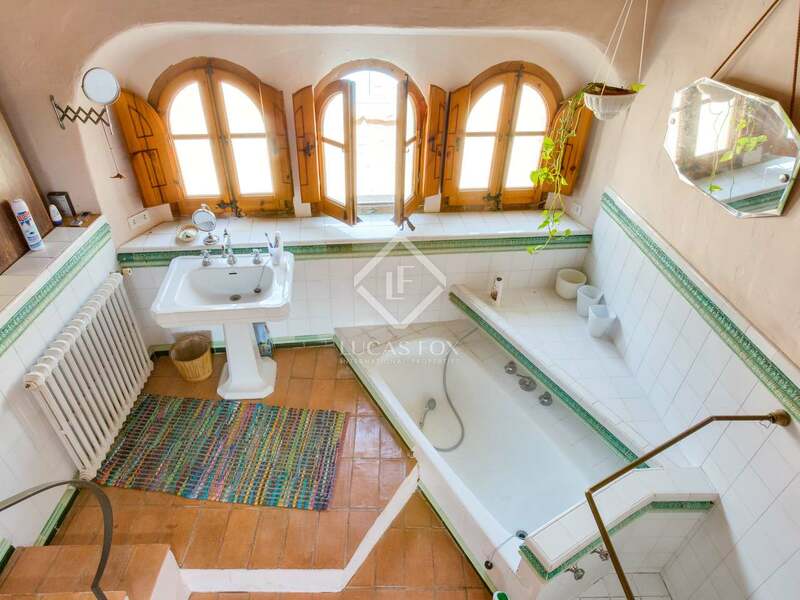 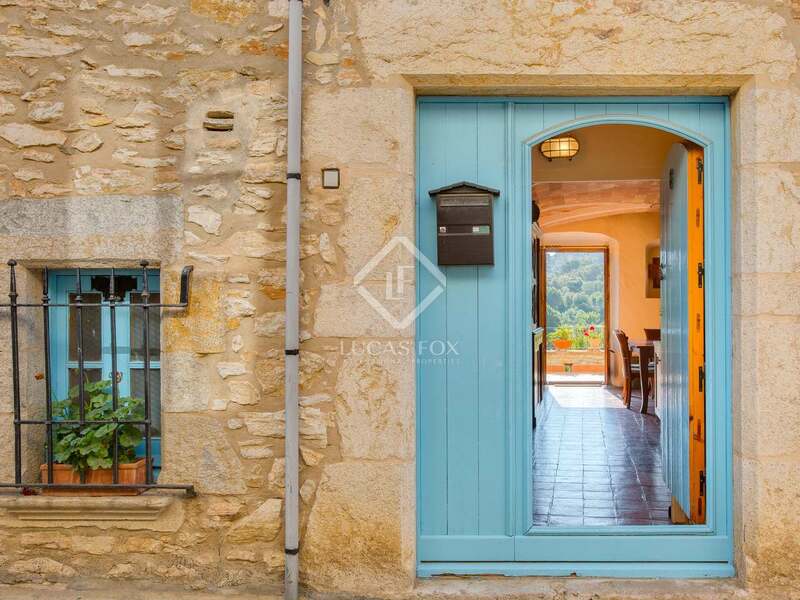 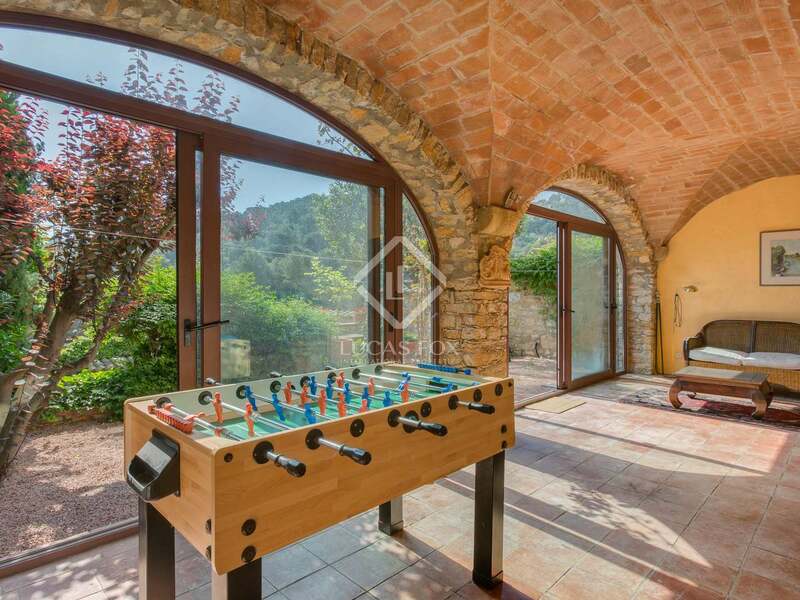 The house is packed with original features, including lovely handcrafted tiles, beautiful Catalan vaulted ceilings, exposed beams and stone walls. 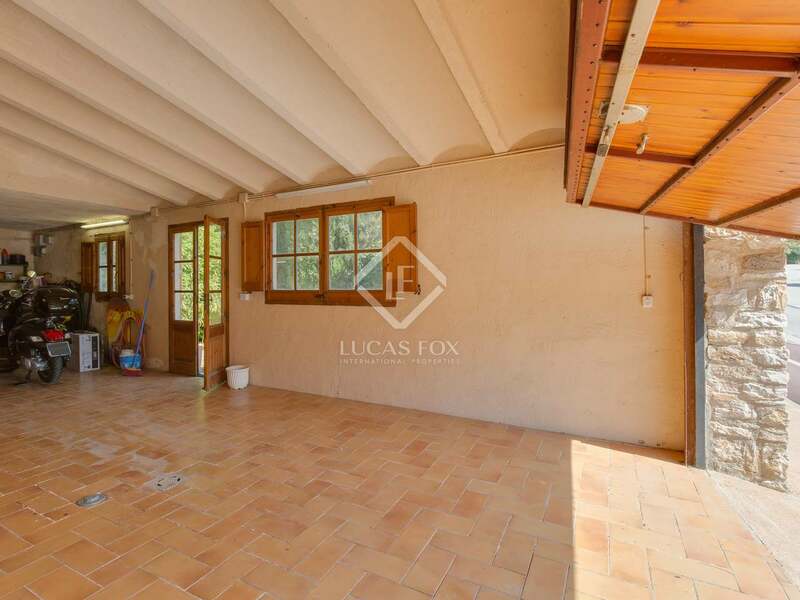 The property is on a plot of approximately 310m2 with ample terrace space, a lawn garden with mature trees and a garage with direct road access. 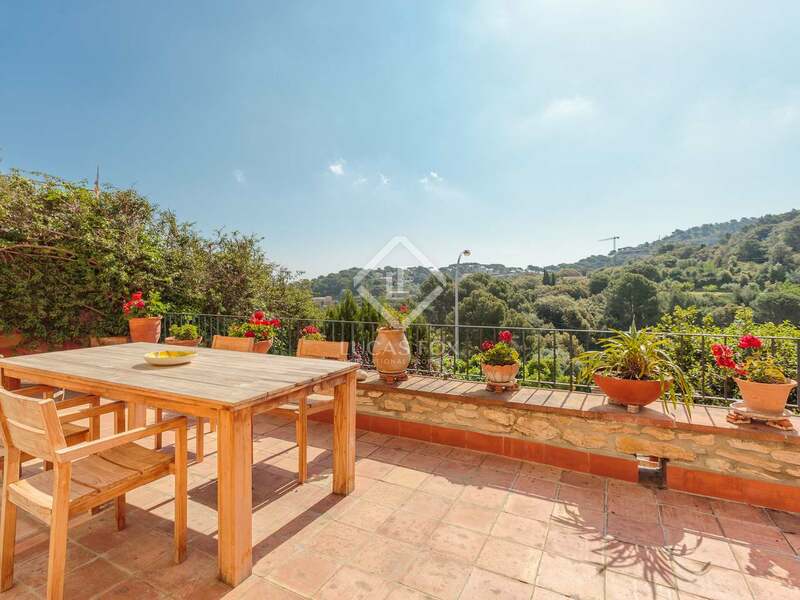 The house enjoys lovely countryside and sea views and has an easterly orientation. 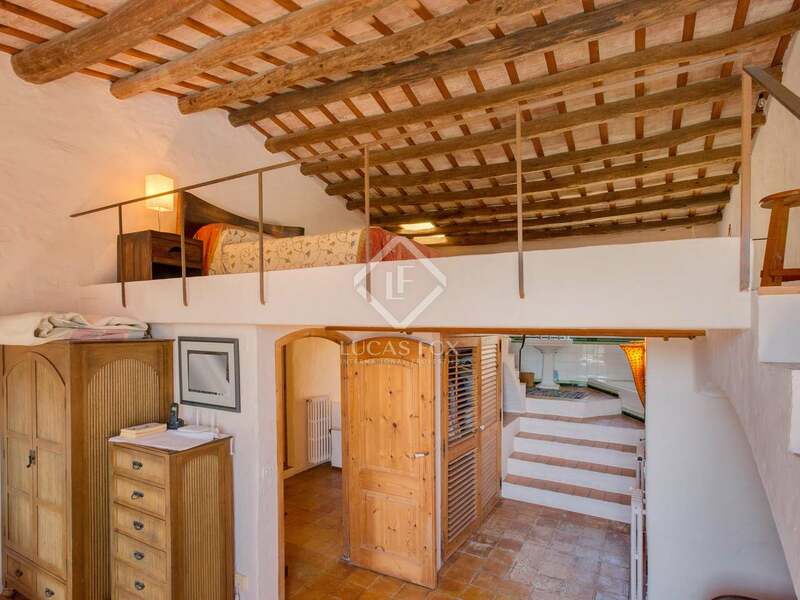 The property is distributed across three levels boasting four en-suite bedrooms, two good sized reception rooms, a lovely, rustic open-plan kitchen / dining room and a magnificent artists' studio. 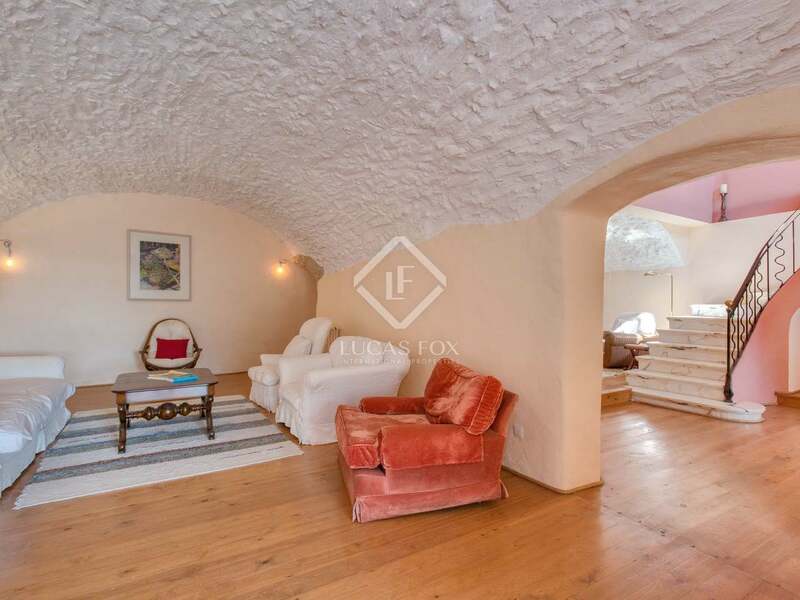 A beautiful, sweeping, marble staircase links the ground floor with the living areas on the lower ground floor. 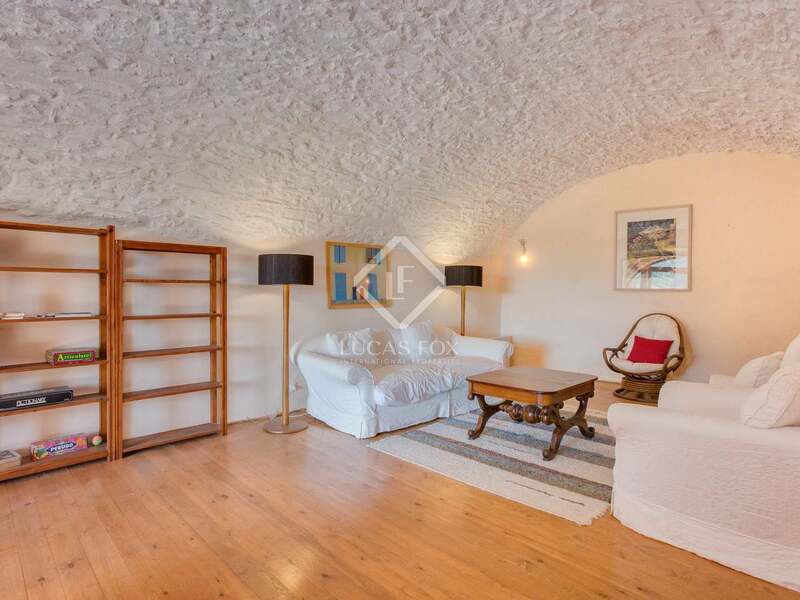 Two of the three bedrooms on the first floor enjoy lovely sea views whilst all three have cleverly a designed mezannine level to maximise the space created by the high, beamed ceilings. 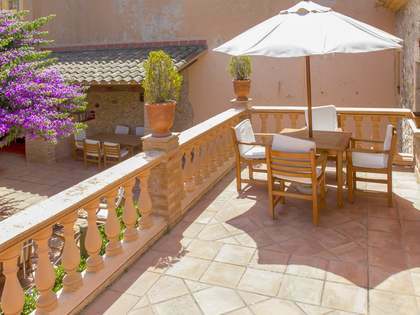 The town of Begur and the surrounding area is one of the most sought-after locations of the entire Costa Brava. 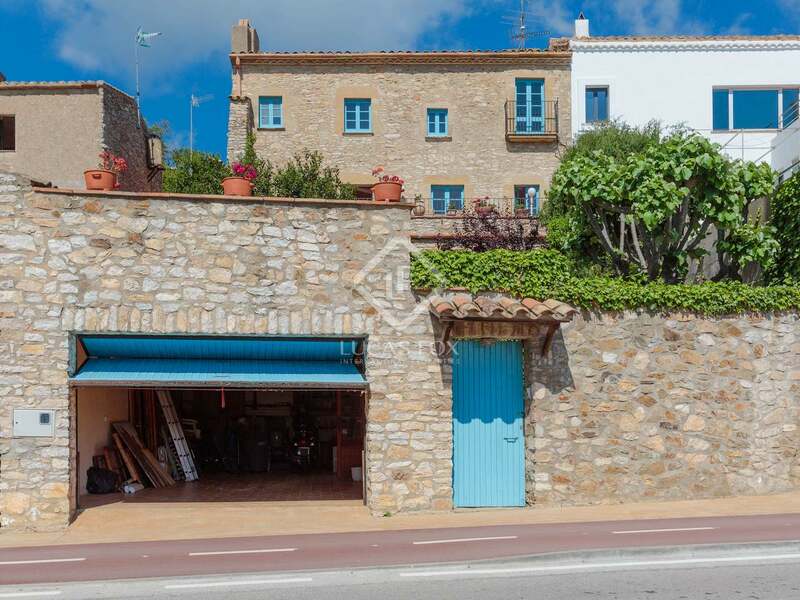 The town offers a wide selection of shops, bars and restaurants and provides excellent access to the nearby bays and beaches, including Aiguablava, Sa Riera, Sa Tuna, Tamariu, Llafranc and Calella de Palafrugell. 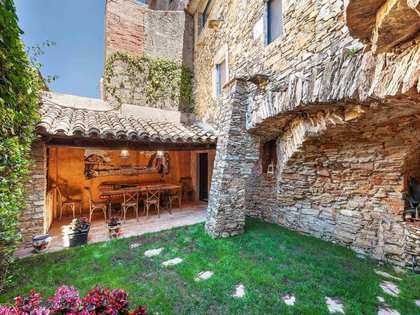 It is also within a 10-minute drive of some of the most beautiful medieval villages of the Baix Emporda, including Peratallada and Pals. 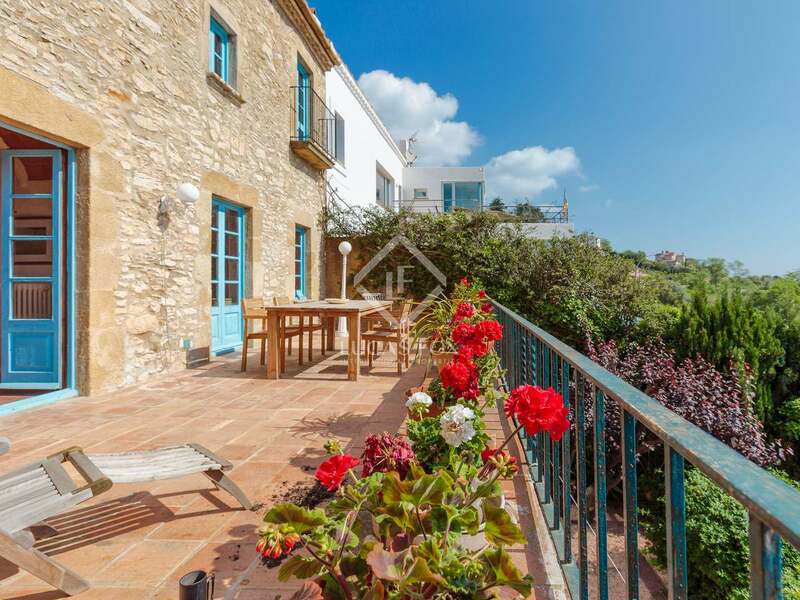 The region offers a wide range of both inland and coastal activities, including scuba diving, snorkelling, sailing, sea kayaking, wind surfing, horseriding, cycling, walking and golf. Indeed there are 3 highly-rated, 18-hole golf courses within a 10-minute drive of the property. 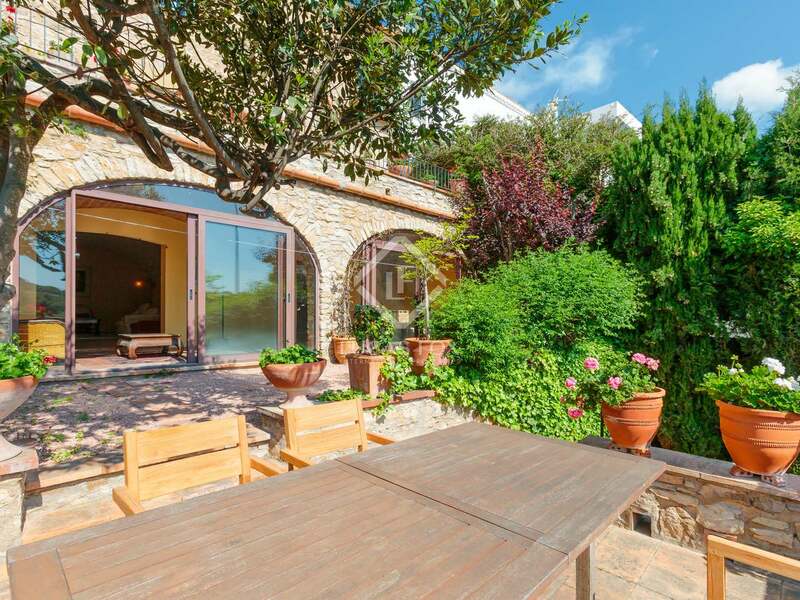 The city of Girona and its international airport is just 55km away, Perpignan airport is 110km away and Barcelona just 130km. 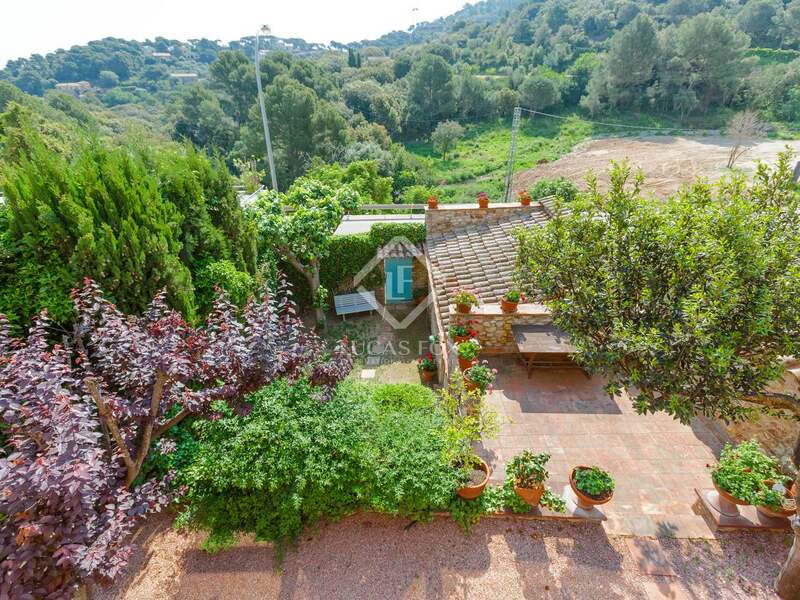 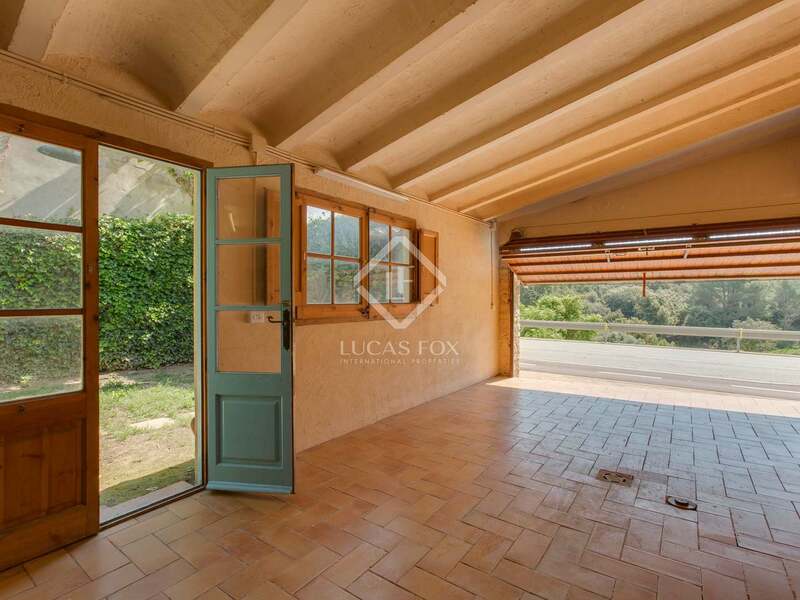 This is an exceptional period property in one of the most desirable locations of the Costa Brava and would make a wonderful primary residence or holiday home.